It’s time to put the pedal to the pavement! 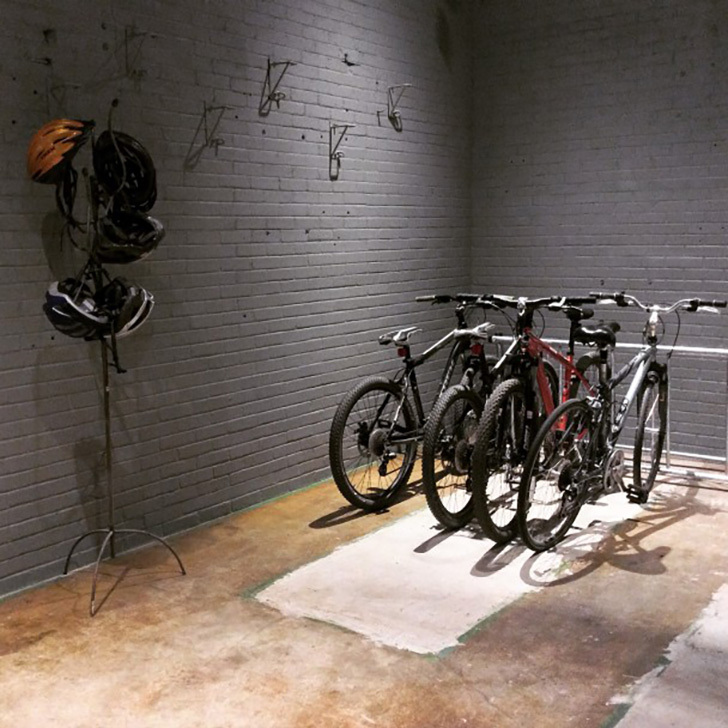 Our hometown of Minneapolis was recently named the third best biking city on Earth, so staff members at our Central Office have taken advantage of our newly remodeled bike room (pictured below). As a company passionate about sustainability, we thought we’d share how bikes have taken Room & Board stores by storm. 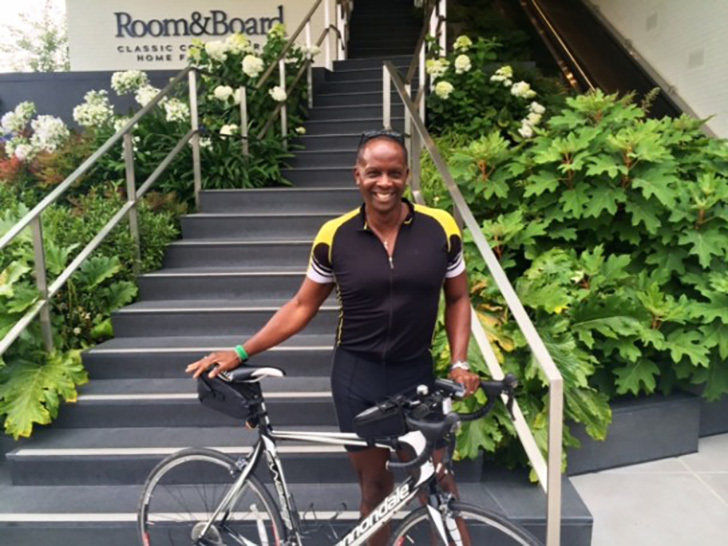 Samuel Taylor in Seattle loves biking to work, rain (which is common) or shine. 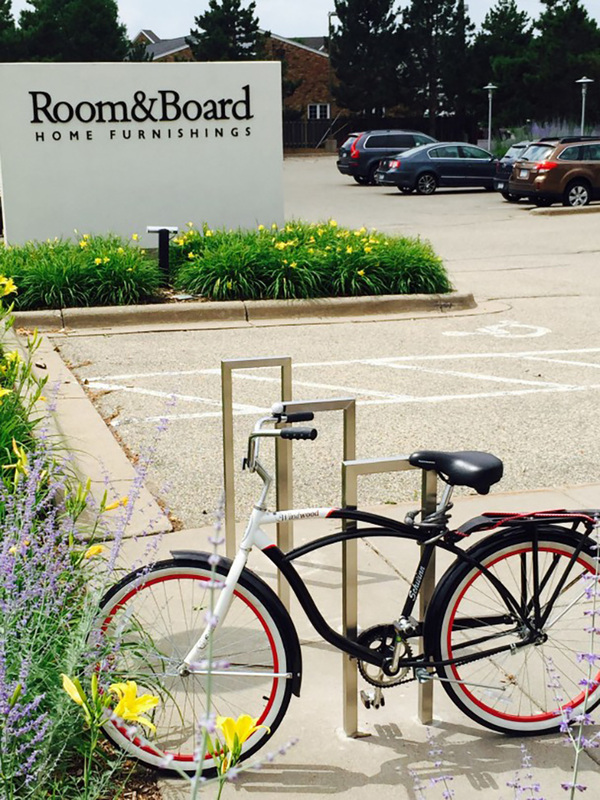 Bell Manufacturing, our Minnesota-based vendor, made special bike racks for our Edina showroom. 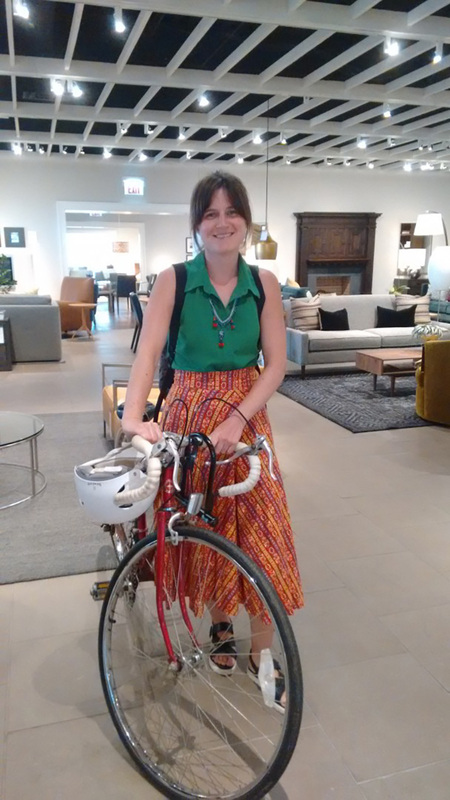 Rather than deal with traffic, Kelly Parsell bikes to Room & Board downtown Chicago. Tell us: Do you bike to work?